No, Pacey! Only future college students get to drink the Jesus Juice. Get back on the grill! 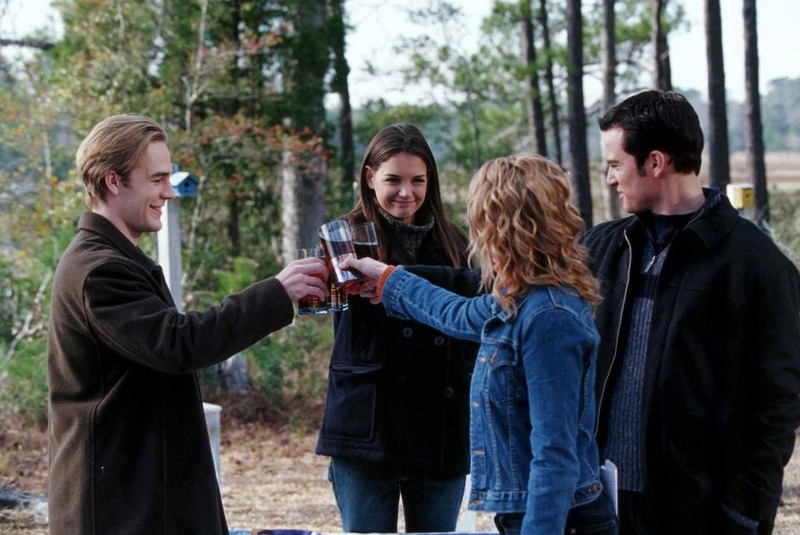 This week’s Dawson’s Creek episode is another one from late 4th season: Admissions. And while we are admitting things, I have an admission for you, dear listener: On August 14th 1986 I was involved in a hit and run accident on highway 79 just outside of Redland, Mississippi. I’d been drinking, he came out of nowhere, I hit him, I didn’t stop. I can still see his crumpled form splayed across the dividing line in my rear view, disappearing into the darkness behind me as I drove on into the Mississippi night. Whew, now that that’s off my chest, I can talk about how much we enjoyed recording this episode. Admissions is, as you might have guessed, a double meaning. It has to do with college admissions, but it also has to do with personal admissions. Joey and Dawson have to face their future, Jen has to face her past, ostensibly Jack and Pacey have problems too, but they aren’t really touched on this episode. There’s a lot of heavy, end-of-highschool angst that is building up to the episode we watched last week (Promicide). So that may be confusing. Thankfully we are here to guide you… guide you like headlights… blazing into the blurry night, mile markers whizzing by like fence posts. Suddenly: a man, at least you think it was a man, his eyes locked on yours, his terror evident. The screech of tires, the quick double-thump of all-season radials hitting flesh. And then the decision that had to be made. The decision that would haunt you for the rest of your life. If only you’d stopped. If only you’d gone back. If only…. Aaaaaanyway, thanks for listening! Visit our sponsors Seize the Memes of Production and use the promo code “CREEK” for 10% off your order!